In this post I analyse a disastrous investment made into the principal of Bartercard, BPS Technology, ASX:BPS. The writer asks me questions about where to from here, with the share price falling by 70% in the last year and recently from 50c to 30c in the last month. He appreciates my analytical skills (which is nice, thank you) but I am direct and brutally honest – he’s made a hugely bad decision and is probably poised to make more. It’s a sobering lesson for all. My name’s [redacted], nice to meet you. Recently I came across your blog, I read your analysis of bartercard and is I extremely expressed [impressed] by your analytical abilities and independent insight, and also your entrepreneurial background. If you are not a full time stock analyst you definitely should be. I only wish I came across your blog before, and I’m sure the same can be said for countless others. A few months ago, I bought shares in BPS Technology around 45cents with minimal analysis, I mistakenly thought the worst of the company has been reflected in the share price, combined with management reiterating earnings guide and implementing structural changes the stock was oversold and tide has begun to turn. How wrong I was, as you are aware after the recent earnings revision and write off the stock promptly fell to 30 cents. I’m down 40% and this is worst investment I’ve ever made in my life. Now I start to do some serious research into whether to sell all the shares or participate in the capital raising at 28 cents. The only [thing] I like about this company is the new management, they have excellent strong track record and seem to be clearing the closet from inside out, absolutely essential in a company with previous unethical management. Anyway, I would really appreciate your opinion. As an ordinary individual investor with limited knowledge, it is very painful to have your wealth wiped out 40% and now facing the choice between a rock and hard place. Thank you for your effort to educate others regarding bartercard. I want to know what the future holds. Has actually turned to the source of common sense, and accuracy and has bothered to ask for advice [a good dose of humility with a dollop of WISDOM and therefore worthy of a decent response]. This man won’t like a lot of what I say, but hopefully he is big enough to take it all. I appreciate his kind words. No I am not a professional stock analyst but I am a natural truthseeker and I am a professional Private Investigative Blogger. I ask questions, apply logic onto fact (suss things out) and blog about them. I hate greedy crooks, crims & crazies who feed off the little people with a passion. Bartercard (BPS Technology) is top of my hitlist at the moment in this regard. The future of ASX:BPS is not a binary matter. You are dealing with a changing situation legally, changing personnel in key positions and conflicting interests internally with a business operating in a rapidly changing market. Additionally there are multiple income streams (well, actually streams of loss!) and an unproven product mix. The core brands of the ASX:BPS offering are not cash generators. 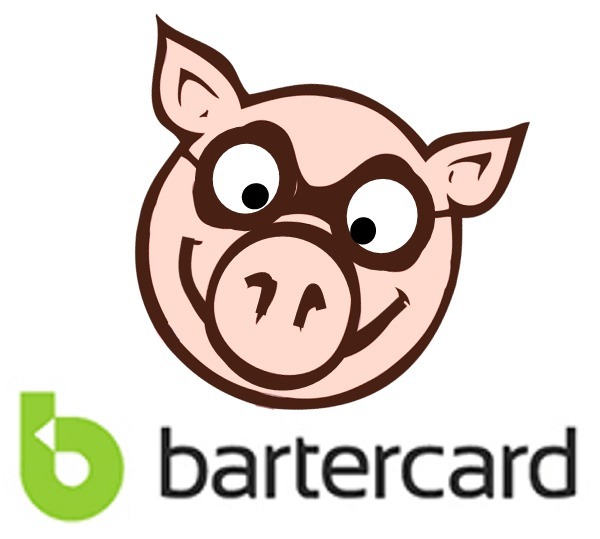 Bartercard has been hemorrhaging cash for years and recent staff layoffs in Head Office and changes at the Board level will reduce losses but could easily also affect sales and income negatively. The core currency (as I have preached for yonks) is devalued beyond redemption and satisfaction levels within the Bartercard system are at an all-time low following a year by year pattern. No one in their right mind would look at it as anything other than a dying business. Tess is an utter joke. Bucqi from what I hear is anything but a success. Paper business is old hat & hope is for something unproven – it may prolong the agony, but I don’t see strong cash generators certainly not sustained or long-term. The whole business model as established by Wayne Sharp the Founder and as maintained by the evicted Directors Trevor Dietz, Brian Hall and Tony Weise is to leverage the Bartercard members’ credit for personal gain. Outright theft was also a component. No small investor in Bartercard has EVER got a return, EVER in 30 years that I know of. Strip assets and write off debt is the name of the game and always has been. Remember this, that BPS Technology was set up primarily as an exit strategy for the three founders to escape their poor investment. They paid too much for it, didn’t have the wherewithal to take it forward; bought it at the point that it was dying and continued to treat it as their own plaything when it was a public company. The value of a trade exchange is not the barter, it is the leverage that the owner has using the credit and goodwill of the members in a myriad of ways – particularly property and franchising but also cherry-picking and more really ugly stuff. Two of the three Smiles in Suits still have substantial funds to withdraw and their options are now drastically reduced now that they cannot conduct business as their greedy whims permit. Their juicy multi-million dollar cash cow has dried up for them with new management and Board; their share price has taken a huge dive, but they will be working desperately to recover what they can. Do not discount the possibility that deals have been done in the background and that more fundraising will inject desperately needed cash on the back of more BS. There was talk of an administrator being appointed and the key asset (the Bartercard membership) getting back into their hands through a backdoor deal with a friendly insider. This was the way they managed the initial IPO cash injection with a pre-launch deal from a traitorish two-faced silent director who jacked it all up. The point is that skullduggery is in this company’s genes from the top down and it has been for decades. Leopards . . . spots. A company’s share price does not necessarily represent its true value, in real terms. It is more the result of an accounting, marketing and deal-driven environment and with insider trading in ASX:BPS virtually proven in the public arena and with lies, lies, and more lies told by these boys clearly admitted by the new Board the share price could easily be manipulated upwards based on their previous Pump & Dump & Insider Trading activity. They’d have to do it from outside Directorships but as I have said, you know when these guys lie and deceive – it’s when their lips move! The true value of this company with serious issues is in the order of Pennies. How much longer will people believe this outfit before the price takes a dive even further? I simply do not know. Understand also that the new Board (if they are not as crooked as the Founders) will be acutely aware of these guys’ wishes and intentions – to milk the system and cash-up – bugger the rest of the small investors. That’s one hell of a conflict of interests inside the team. Don’t expect that stress to all disappear nicely, even if they do all Smile in their Suits together for the public. I cannot predict the future in terms of share price. If they pull yet another fast one, they will get another cash injection which is desperately needed to pay the bills, pay the investors so that they don’t ALL give up and go, and to keep the fires burning as long as possible. It will dilute the shares – too bad! I can state that the entire business strategy is a new one, fraught with huge challenges, and to me it doesn’t really look that sound. This writer’s referencing to all the key points as issued by the Smiles in Suits concerns me – it means that he believes the BS talk, or to some degree anyway. I don’t. I don’t want to knock the new guy at the top unduly and wish him well in his task but what would you do if you inherited a pig, tell the world or keep smiling and try to box on? Remember that the Bartercard currency has a HUGE undeclared trade deficit from 30 years of misconduct. This off-the-books hidden debt is in the order of hundreds of millions! I expect that there will be serious bad legal news for Bartercard in the New Zealand jurisdiction developing sometime in 2018. Paul Hebbink (NZ national sales manager) will likely be visiting the courtrooms and he along with others may find life a little more ‘restricted’ in future. It may not be the end of BPS through one event but with USA and the UK looking flakey, I really can’t see good things for these turkeys in 2018. I’m essentially negative over the BPS Technology thing. I simply can’t see where or how they are or will be creating value, which is the primary driver of any business success – certainly not real, creative, sustainable, mid to long-term value. ASX:BPS is a broken company in disarray with very serious problems. They have fired their Founding Chairman for ‘suspected’ insider trading (Bye, Bye, Trev) and they have flicked the other two Founders who were milking them all merrily with huge Director & Consultant fees. They escaped the chop in 2017 in one attempt to flick them but were ‘moved on’ by their victims eventually in late 2017 and early 2018. They were outed lying about the company affairs. None of this is a good look AT ALL, let alone for a public company. One guy got away with the loot following a successful Pump & Dump but there are others still pining for their payday. With a twice-devastated share price they could do anything [stupid, immoral or illegal] to get their ill-gotten loot. Their core business units are not profitable (some in serious decline and others were always a bunch of BS) and their strategy lacks depth and quality from what I see. It’s not a pretty picture from where I sit. The writer here has made a disastrous investment decision but he invested believing their marketing BS and without doing basic due diligence. Quite honestly he doesn’t deserve to make a profit. I hope he’s going to get wiser. If he had just Googled “Bartercard” or “ASX:BPS” then he would have found years of posts from me telling it like it is with these crooks. A dodgy Prospectus; an IRTA deal that never stood a minute of scrutiny; clear warnings of a Pump & Dump revealed in realtime and then proven; huge analysis of the Bartercard undisclosed trade deficit and a massive industry fraud . . . what more can he expect when it is all out there? Thank you very much for your reply. I read your post with much appreciation and interest. I just like to clarify it is not my goal to “profit”, the loss is sunk cost, I have 0 expectation any of it will be recovered, and it is but nobody’s fault but my own. I’m only interested in the long-term fundamentals in the company and whether the new management is ethical/effective and whether the worst is yet to come. The share price follows fundamentals in the long-term and thus fluctuations in price is of secondary importance. Regarding new management, I have not read anything they’ve said, I basically researched their previous work experience and it appears they have successful track record growing companies from scratch. Regarding what would the new management do if they inherited a pig, although not really right thing to do, what happens often actual happens is that new management taking over an under-performing public company would lump all bad news into the first financial announcement. Typically it would involve huge write-offs and suspend dividends. They do this to tank the share price on purpose, so in the future only better news could be released reflecting their “superior” management, earning their bonuses and indirectly blaming previous management for the bad news. This is a pattern occurs regularly from blue-chips to small caps. What concerned me in this case is I read somewhere the previous management sold substantial amount of their shares at 28 cents, I don’t know if they did this voluntarily or forced to? If voluntarily, why did they do this and surely they think the worst is yet to come? And also, how did the new management actually come to join and their motivation to join BPS? Why they chose to inherit a pig after successful track record? There has been very little discussion around this. Did the old management choose them or a third party? If the old management choose them, does the new management have some kind of deal with old management behind the scene, or did the old management truly wanted some new management to completely shake things up and start afresh? I also find it interesting you mentioned you avoid the stock market entirely for ethical reasons. Your investigate work on Bartercard is surely better than any analyst if there is one and proven to be prescient. I also avoid unethical firms such as mining companies, but there are companies with ethical management and creating jobs for the community and thus worthy of management. I also agree with your conclusion that while things could turn, there is too much uncertainty, and you’re absolutely right laying off the staff from Bartercard will reduce the revenue (the question is whether the recent write-offs understated this effect). In fact, after I wrote the email last night, I pondered over these questions and thought the same, the fundamentals of BPS hinges on future growth, equity dilution can be good thing IF the raised equity can generate superior returns, it is a big IF. Even if the stock double or triple, due to the uncertainty I think it is better allocating my capital elsewhere where hopefully I’m smart enough to see more clearly. As I said, I simply don’t know the future. I just know that they’ve got very real problems under the hood. And lying to the public is “bad news”? That’s criminal conduct! It’s also indicative of the culture of extreme self-interest. Remember that the BPS thing was all about an exit strategy for three individuals. Thassall! Never forget that! > What concerned me in this case is … the previous management sold substantial amount of their shares at 28 cents, I don’t know if they did this voluntarily or forced to? If voluntarily, why did they do this and surely they think the worst is yet to come? And also, how did the new management actually come to join and their motivation to join BPS? Why they chose to inherit a pig after successful track record? There has been very little discussion around this. Did the old management choose them or a third party? If the old management choose them, does the new management have some kind of deal with old management behind the scene, or did the old management truly wanted some new management to completely shake things up and start afresh? Brilliant questions! That’s what I asked too. Deals behind the scenes are par for the course with these crooks. That’s your value judgement which I respect. I just call it like it is with what I know. > laying off the staff from Bartercard will reduce the revenue (the question is whether the recent write-offs understated this effect). Yes it MIGHT do that but the cash required to keep the Bartercard thing ‘oinking’ along has been horrendous. How much of this expenditure reduction will impact operations negatively will remain to be seen. It’s good in the sense that they are saving, but as I said where are they creating value? Spend less AND earn more = happiness for the investors. Spend less and earn less = ??? Well for a company built on BS and asset stripping with debt writing off normal for the Directors’ benefit, this ain’t going to occur is it? One of the principals of Bartercard before it became BPS explained (to one of my informants) that they were highly skilled in concealing debt. There’s your secret to success – except for the smaller dudes that this rips off. > equity dilution can be good thing IF the raised equity can generate superior returns, it is a big IF. I think we know the answer!